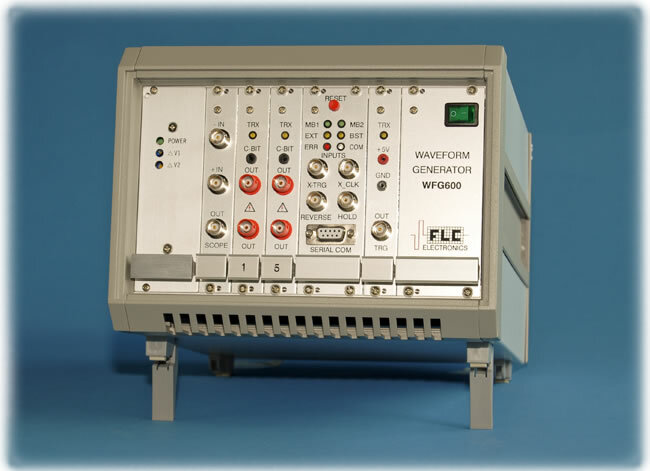 WFG600-2 is a two-channel version of the Waveform Generator WFG600 has the same characteristics and functionality as the eight-channel model. Full description can be found on WFG600 main page. The two channels are intentionally numbered "1" and "5" in order to allow the electrode matrix driving functionality. In the 8-channel version, channels 1-4 act as column drivers and channels 5-8 act as row drivers.